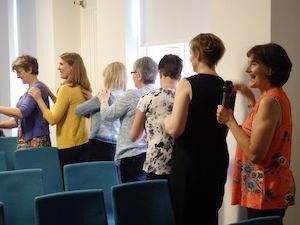 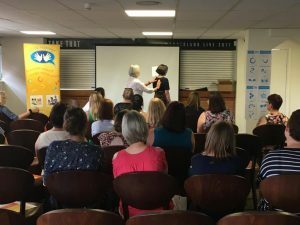 Conferences are a great way of showcasing the Story Massage Programme as well as gaining inspiration and ideas from others. 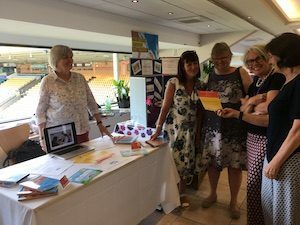 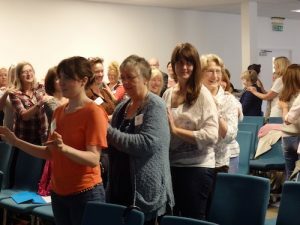 We are regularly invited to give presentations and demonstrations at local and national conferences to share the benefits of positive touch for all ages and abilities. 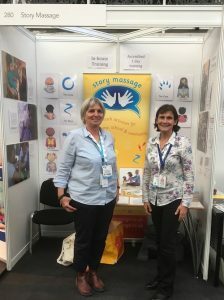 Tes SEN Show (October 4th and 5th 2019) for professionals, parents and carers in the special needs community. 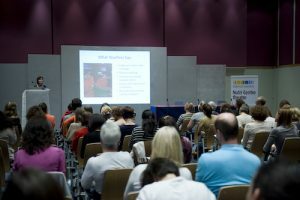 London Business Centre, Islington, North London. 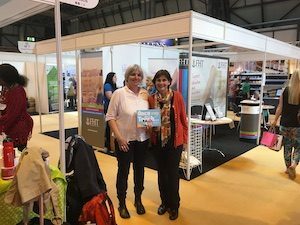 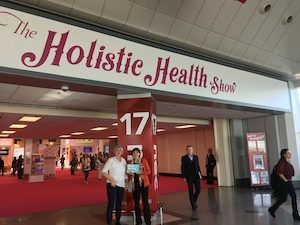 The photo below shows Sandra Hooper (left) and Mary Atkinson (right) at the Tes SEN Show 2018.